Sony looks set to launch its much-wanted 5G Xperia smartphone – possibly the recently leaked Sony Xperia XZ3 – sooner than expected thanks to "severe competition" from its competitors. The idea that the 5G Xperia program is being accelerated comes courtesy of Sony's fiscal first quarter results for the year (that's the three months to 30 June 2018) which, as reported by Xperia Blog, has just revealed that due to "severe competition" the Japanese maker is "working on countermeasures" to address its falling mobile sales. Those countermeasures? Everything points towards a super powerful new Xperia phone that not only includes a world first 5G connection, but also a futuristic new camera system with 48MP rear lens, near week-long battery life, and a stunning new design, too. 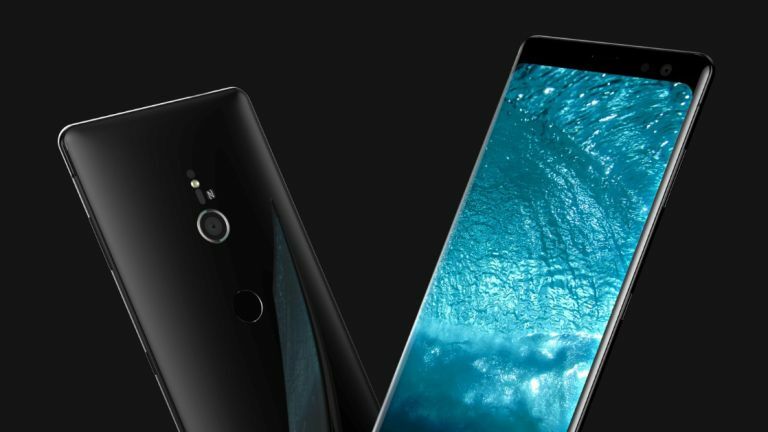 Now, whether or not the 5G Xperia that Sony is rumoured to be working on is the recently leaked Sony Xperia XZ3, which reports indicate we could see as early as IFA 2019, or a separate new flagship to launch in early 2019, remains unclear. Earlier in the year Sony identified key areas that it needed to address in order regain its dominant foothold in the smartphone business. And, if anything, this latest admission in the maker's results adds another piece to the next-gen Xperia phone puzzle, and the complete picture is starting to appear. Now, not only do we have multiple official communications stating that Sony is working on "countermeasures" to address the fact that its "product competitiveness is still lagging behind the top class competitors", but also a series of leaks that directly seem in line with the key focus areas the company layed out in its Sony IR Day 2018 presentationback in May (see above table). But it seems like whatever plan Sony is working to could now have to be accelerated in light of the results that have seen it downgrade its forecast of phone's shipped once more, moving southwards from 10 million down to 9 million by the end of this year. Will Sony be able to fend off incoming rivals such as the Apple's new iPhones, the Google Pixel 3, LG V40 ThinQ, Samsung Galaxy Note 9, as well as the biggest phones of next year, such as the Samsung Galaxy S10, OnePlus 7, and Huawei P30? Only time will tell, however, if Sony can deliver a phone that ticks a lot of those focus areas, then we for one will be very, very excited to get our hands on the hot new device.